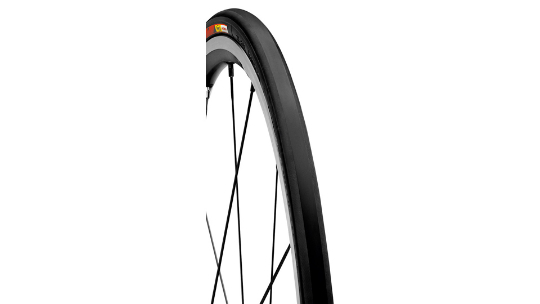 The Mavic Aksion is the tyre specced on the ever-popular Mavic Aksium wheelset. They've been well received in store and look great when matched with Mavic wheelsets. 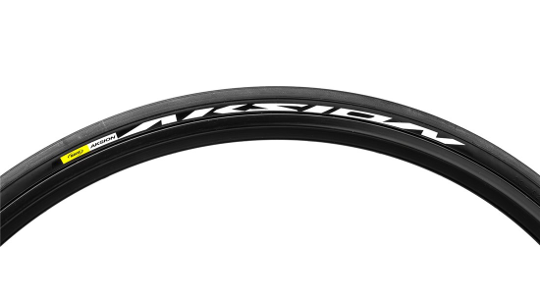 Originally mounted on the new Mavic Aksium Wheel-Tyre System, the Mavic Aksion Tyre is the perfect race/training tyre well matched to the Aksium. Featuring a light yet resistant 66TPI casing and a safe yet durable 65 shore A compound, Aksion tyres are a great value and highly versatile option.